This article documents a current event. Information may change rapidly as souls are transported. Please help document each soul's transportation by adding citations to reliable sources. 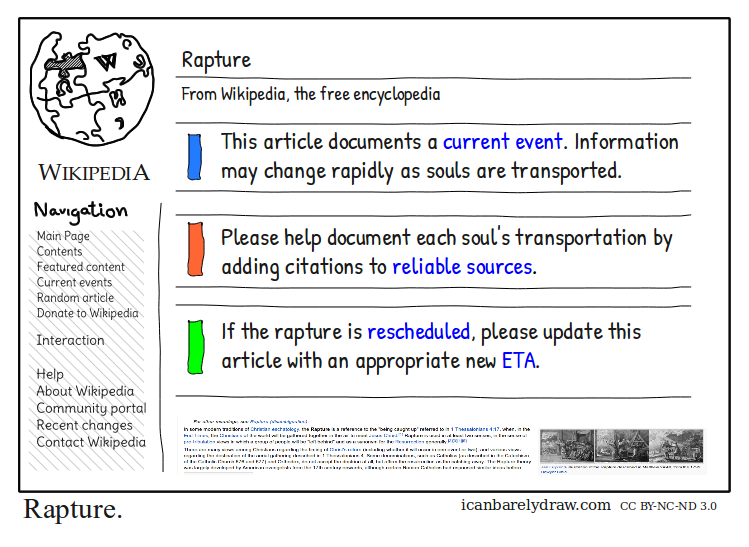 If the rapture is rescheduled, please update this article with an appropriate new ETA.